Categorías Cuadros Mermaid-Mystery or Myth! Medidas: 76.2 ancho x 60.96 alto cm. Medidas: 76.2 x 60.96 cm. Oil and acrylic painting on canvas with hand molded ceramic work and embellishments that adds to 3rd dimension to the art piece. 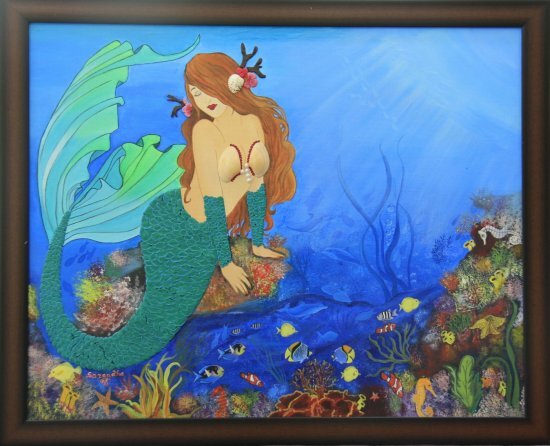 Haz una oferta a Sarandha D L por Mermaid-Mystery or Myth!